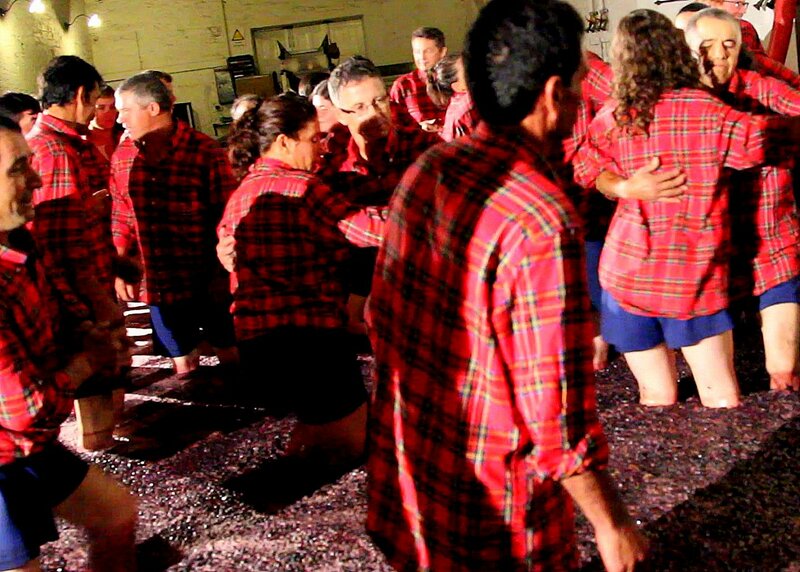 Serenaded by drum, tambourine and accordion, workers clad in navy shorts and red plaid shirts march around the concrete tank of port grapes, a few couples clasping arms and gamely waltzing in the knee-high purple soup. The evening treading session during harvest at the Quinta do Vesuvio owned by the Symington Port-producing family is a glimpse into the vanishing art of foot-treading. It is something that makes for good folklore – and one very memorable “I Love Lucy” episode – but has proved increasingly anachronistic amid the modern realities of temperature-controlled, technology-assisted winemaking, not to mention labor issues. And even here in Portugal’s Douro Valley, last bastion of foot-crafted wine, robotic treaders are replacing the human foot. “This machine replicates the best of foot-treading and eliminates all the snags,” says Rupert Symington, who has worked on his family’s proprietary “robotic lagars,” automated treading machines. 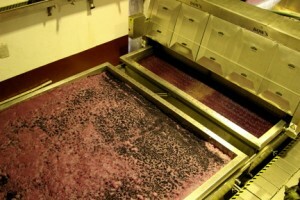 “Temperature control is there, we can empty the skins out quickly without making the wine too dry. We’re immensely proud of this.” The robotic lagars are used on most of the Symingtons’ high-end wines (brands include Graham’s, Dow’s, Cockburn’s and Warre’s) but not the Quinta do Vesuvio wines, which are made by foot-treading. Port and foot-treading go back at least 300 years, a tradition that fits well with Port’s short fermentation period that requires quick extraction of color and flavors from the skin, something foot-treading does well. Producers began to modernize in 1960s — a time when Portuguese workers were leaving the country for jobs elsewhere. Conventional fermentation tanks were introduced, usually lined concrete tanks, and by the 1980s stainless steel fermenters were in use. Cooling equipment also was added by some wineries. Fermentation tanks used to make Port are essentially the same as other wine fermenters, although they’re modified to extract color from the skins in about three days vs. the seven days or more of primary fermentation of conventional winemaking. Grapes go through a crusher-destemmer before going into the tanks, which are designed to ensure the juice passes through the cap of skins as effectively as possible in the time available. Despite these technological innovations, it wasn’t until the 1990s that producers began a major exploration of finding ways to mimic foot action by machine. A traditional lagar [basin where foot-treading is done] is about 12 feet square and is filled to a depth of about 31 inches, allowing for a large area of contact which aids the extraction of tannins and pigment from the skins. 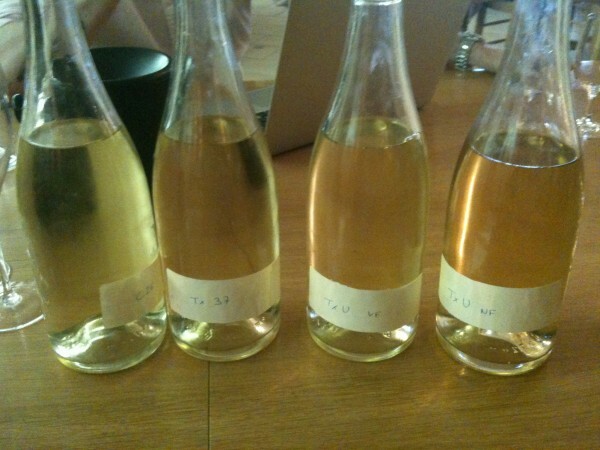 The pressure of the human foot ruptures the cell walls of the skins but doesn’t crush the seeds, which would add bitterness to the wine. The foot action and, later, pushing the cap down with wooden paddles, incorporates oxygen into the must (grape skins) which stabilizes the color components. It works, but not only does it require the kind of labor force that just isn’t available any more, it also presents problems of timing — a human team can’t run for more than about three hours or at awkward times, like late at night. Meanwhile, it takes about two hours to shovel skins and seeds out of a lagar after the wine has been run off, something that can be accomplished much more quickly in an automated lagar, meaning the juice can stay in contact with the skins for the optimal period of time. Robotic treaders also can be cooled or heated easily and are simpler to clean. The Symington family introduced their prototype robotic lagar at the 1998 harvest. Early teething troubles included getting the “feet” to walk down the tank, turn around and walk back. Another challenge was getting the pressure just right so just the skins, not the seeds, were crushed. Working with a Portuguese engineering company they arrived at a model with automated stainless steel ‘feet’ with specially made silicon pads that move down and press the grapes against the floor of the lagars, applying exactly the same pressure as a human foot (120 grams per square centimeter). Once the cap has been formed, the “feet” are re-programmed so that the skins are pushed back into the juice below, mimicking the action of the old wooden paddles and creating the same micro-oxygenation effect as in the old-fashioned lagar. The Symingtons aren’t the only Port producers using mechanical systems. Others using automated treaders include The Fladgate Partnership (Taylor Fladgate, Fonseca and Croft) which use a piston fermenter — “Port-Toes” — a mechanical system in a specially shaped fermenter. The Taylor-Fladgate device goes back to 1992, when winemaker David Guimaraens saw a mechanical system being used in the Douro by two local men, according to Robert Bower, U.S. export manager for The Fladgate Partnership. 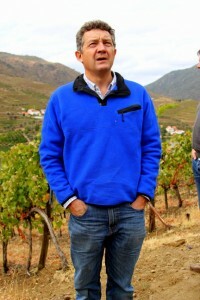 In 1995 and 1996 Guimaraens and a team at another Port producer, Quinta do Noval, used different mechanical systems during harvest and the wineries shared data with each other, Bower said in an email. After many experiments, The Fladgate Partnership winemaking team built a winery with the Port-Toes at Quinta da Nogueira. Taylor Fladgate is using the Port-Toes only for non-vintage ports; Taylor Fladgate, Fonseca and Croft vintage ports are made by foot-treading, which company officials plan to continue. 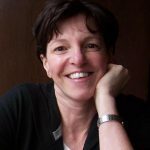 Bower says research indicates that the Port-Toes produce wine that is “99.9 percent as good as foot-treading,” but foot-treading was slightly better at allowing the individual terroir of the vineyards to express themselves in the wines. 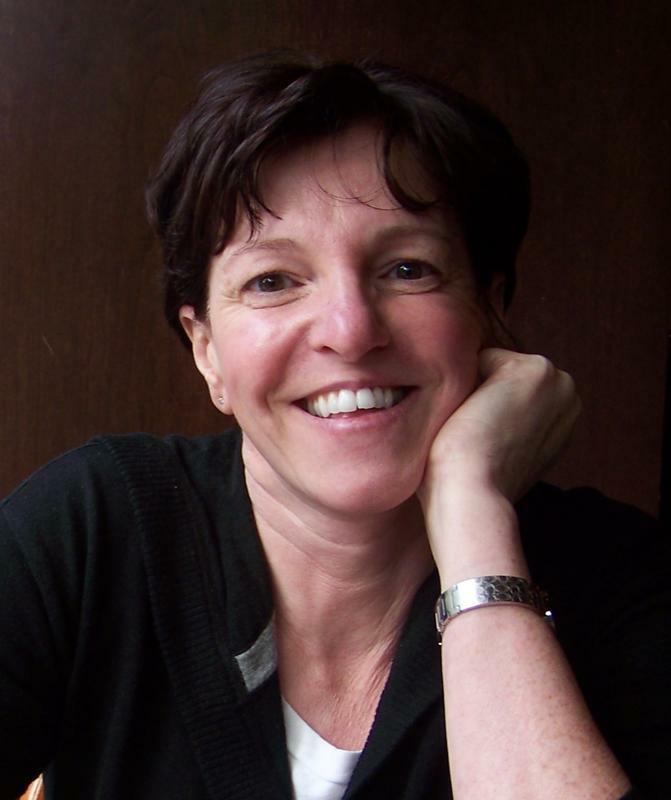 Michelle Locke is a freelance lifestyles writer based in the San Francisco Bay area. She blogs at Vinecdote. You breeze by so many interesting things in this article, Michelle, that I wish you could have explained in more detail. Perhaps you could elaborate a bit on how a fermentation tank could be adapted for the type of increased skin contact Port wants? Or how anyone can calculate the “exact” pressure delivered by a human foot when humans vary very widely in both weight and lower body strength? 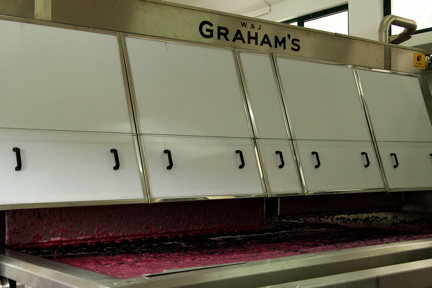 Each vintage we make an inky and delicious Petite Sirah Port via this traditional method. Traditional foot treading is the best way to make good Port. This year`s harvest I will go to Douro again to be in this beautiful region at harvest time. 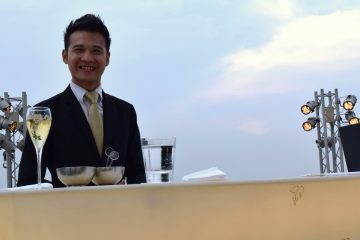 If there is a quinta who needs treaders I`d like to volunteer.. Done it before and it`s fantastic to participate in this traditional winemaking. Like to do this again this year.